You have found Lincoln Badminton Club on the Net. 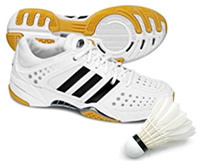 Located in Canterbury, New Zealand, we play badminton on Wednesday nights right through the winter months. This site will be updated often with the latest information on Club activities, so please check back regularly. Our 6pm and 7pm junior sessions are now full. While we would love to take on more young players, unfortunately we are limited by the number of courts and coaches available at the Event Centre. Great to see so many juniors in 2017! We have an online membership form for collecting details of those wishing to join the Club. If you are wanting to join the Club in 2018 you will need to register online (preferred) or using the paper forms available on Club Nights.